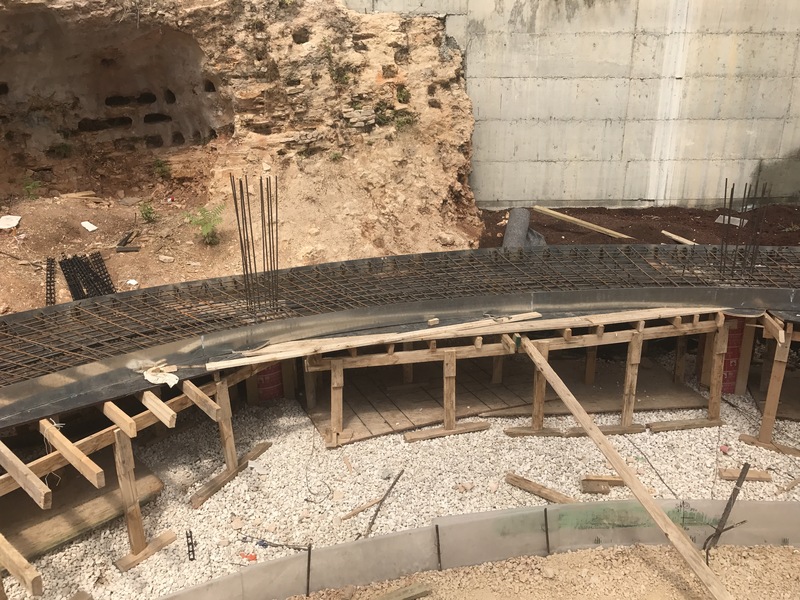 The concrete walkway has set and the wooden frame is being removed. 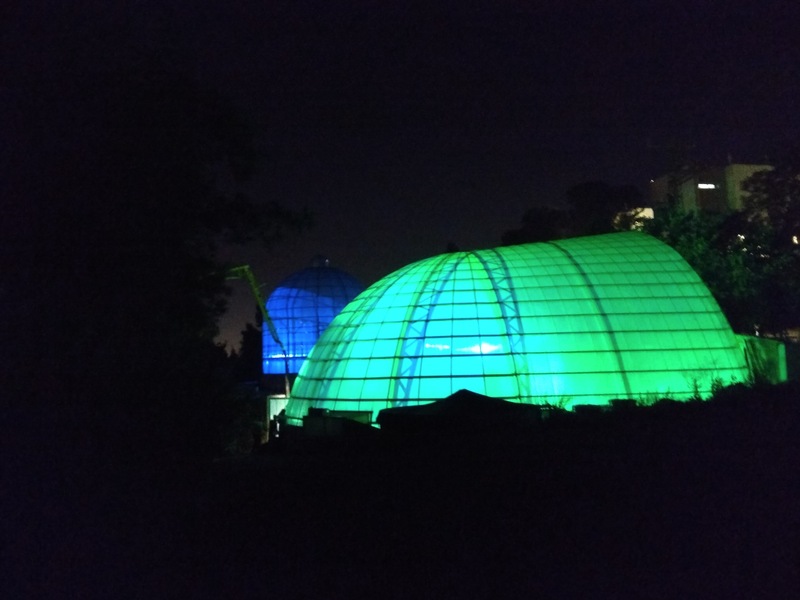 The glasshouse is really coming together. Soil comes in next, then planting! 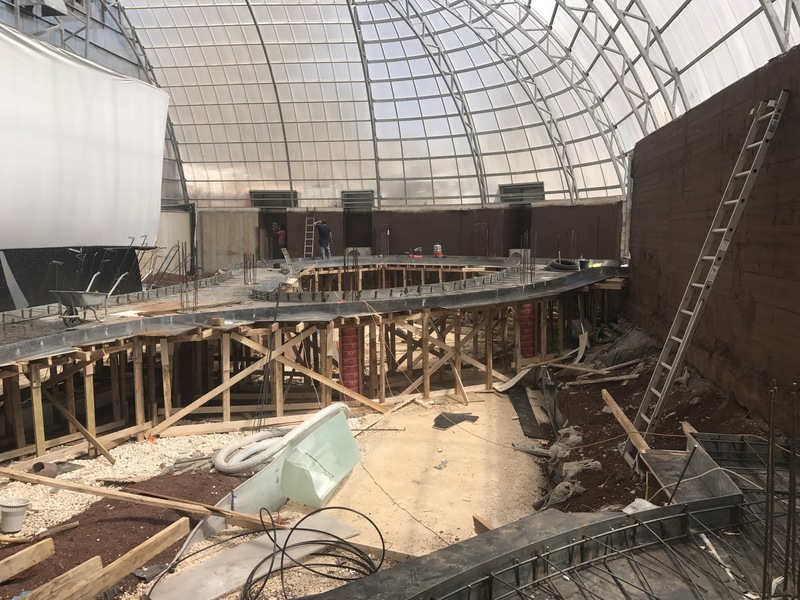 Things are shooting along in the tropical glasshouse now. 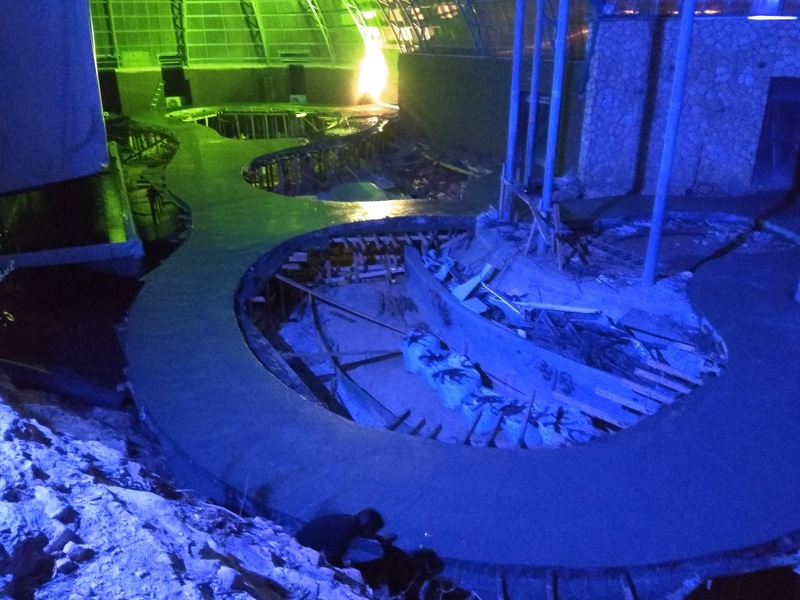 Concrete was layed yesterday and the lights were tested in the evening. 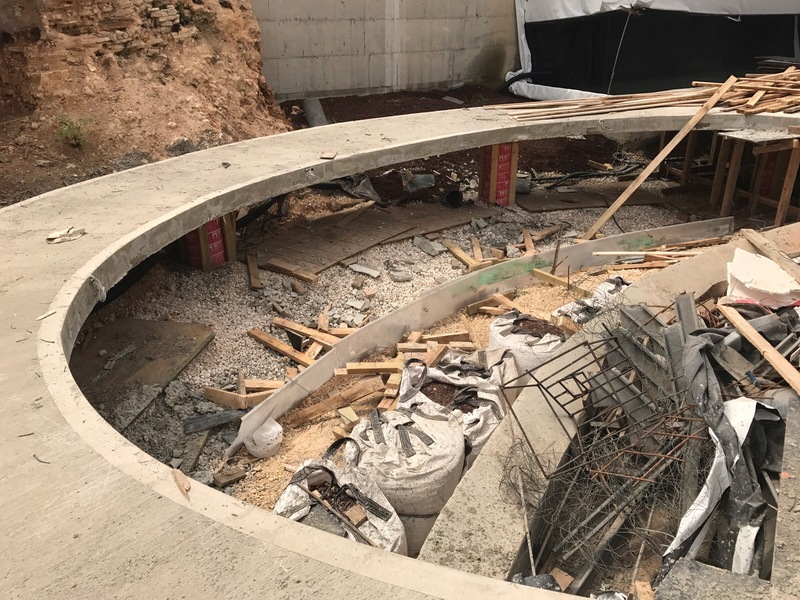 It’s going to look incredible with plants in! Photos by Eli Becker (Head Gardener) below. Vanilla planifolia is an epiphytic vine in the Orchidaceae family. It is native to Central America and Northern South America, found growing in wet tropical forests or margins. This species is the main source of vanilla, it also has attractive yellow flowers. 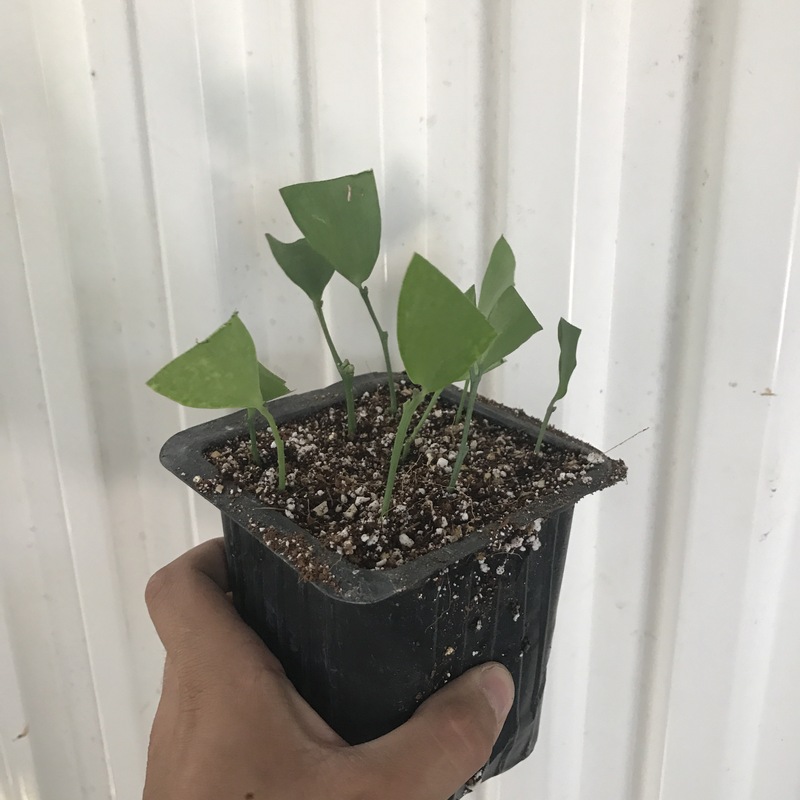 V. planifolia is easy to cultivate. It enjoys a moist but well drained medium such are large woodchips. 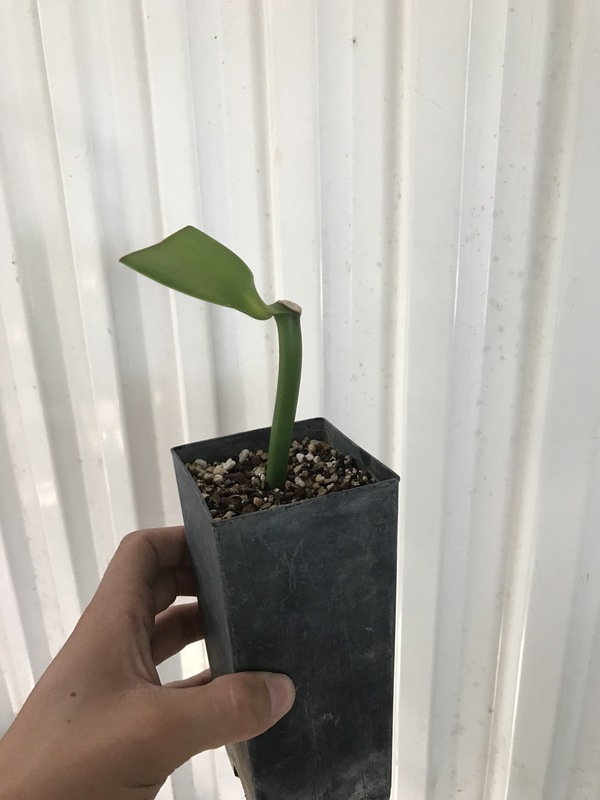 It should be grown in a well lit space out of direct sunlight, temperatures should not drop below 10 degrees Celsius. 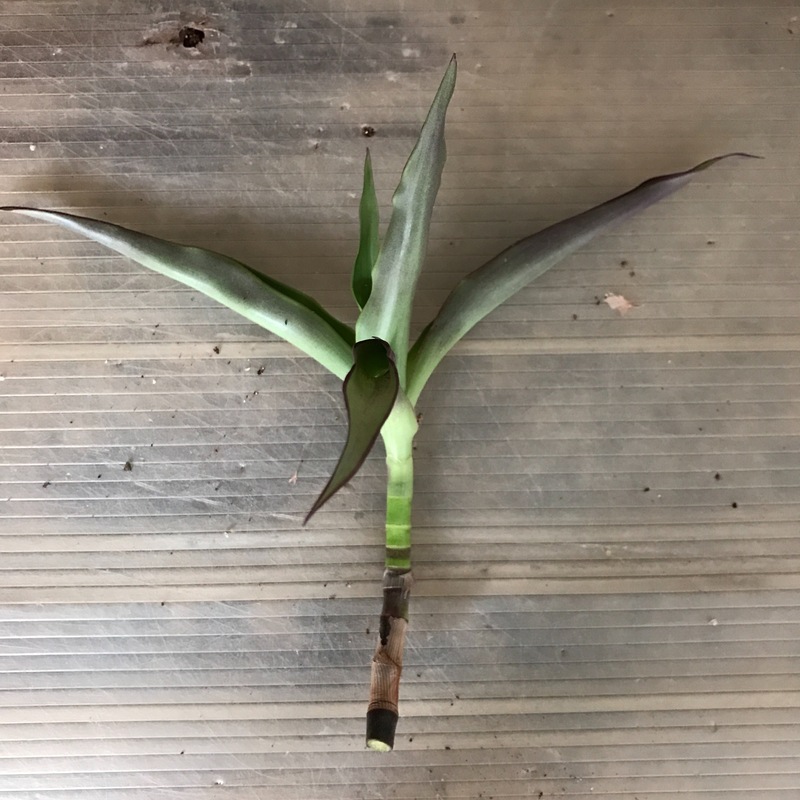 This species roots freely from cuttings. They can be rooted just in water. 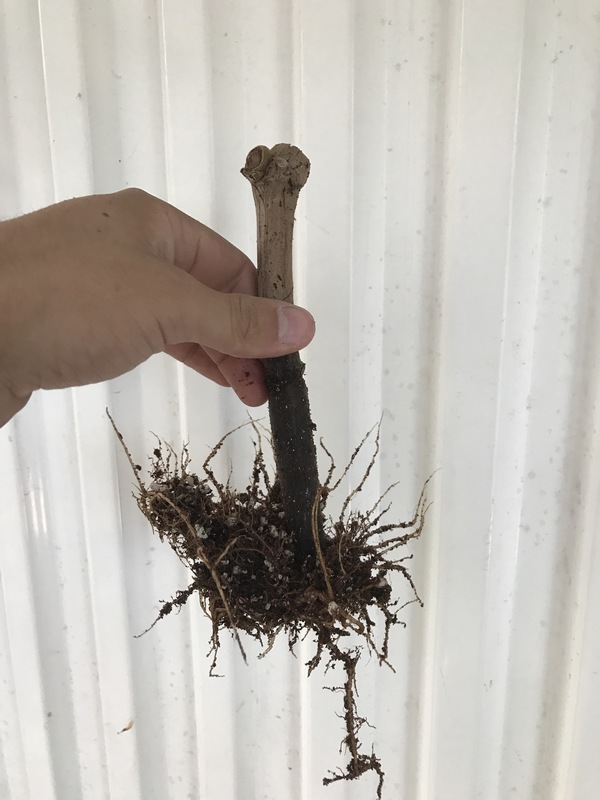 I took cuttings four weeks ago, I chose a free draining coir based medium to root mine. 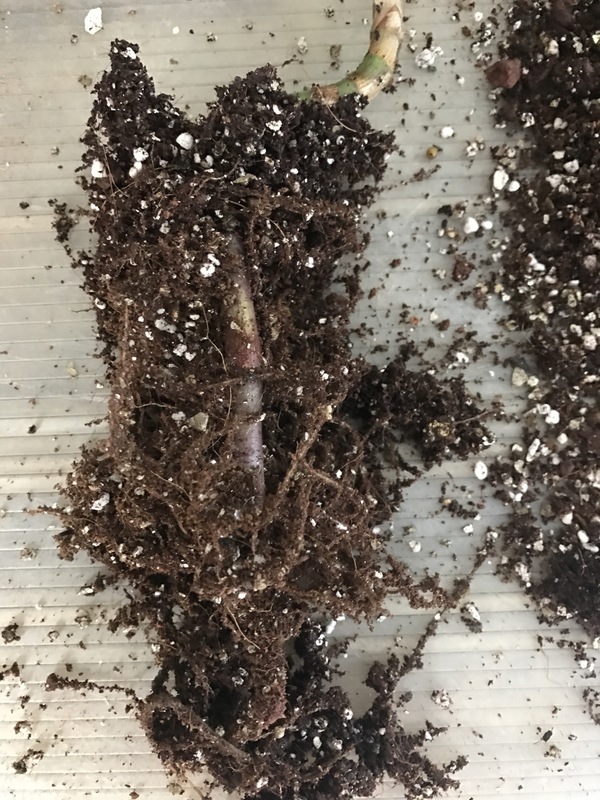 The photos below show root development after four weeks and repotting. Shoot growth should initiate over the next week or two. Things are moving quickly now. 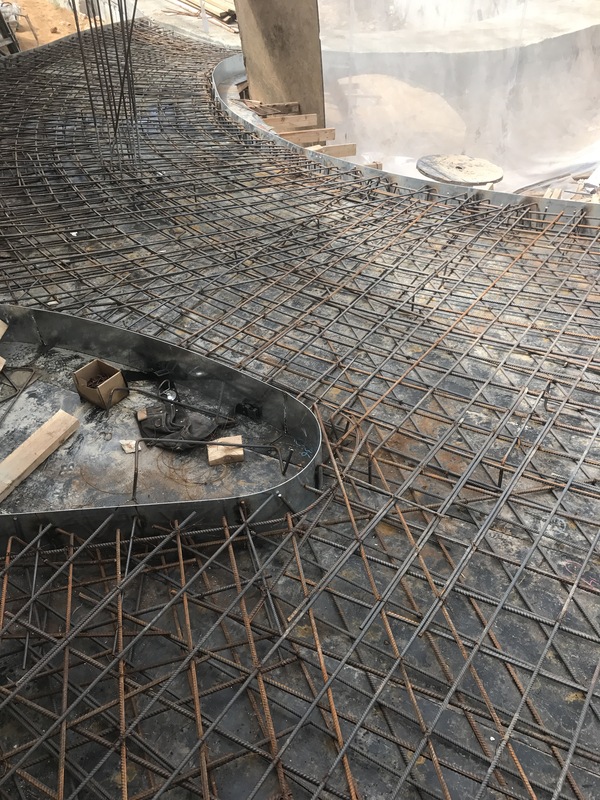 The walkway is being prepared for concrete. 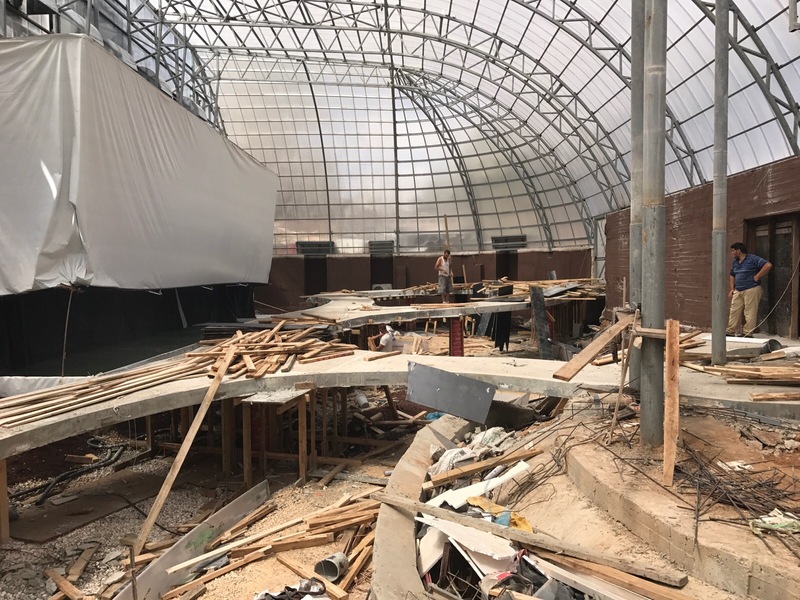 When it’s set, the frame can be removed and the growing media can come in. Plants need to be in before winter and the budget is tight, thankfully things are progressing well. Photos below. The large lianas are a hugely important part of the Tropical collection. 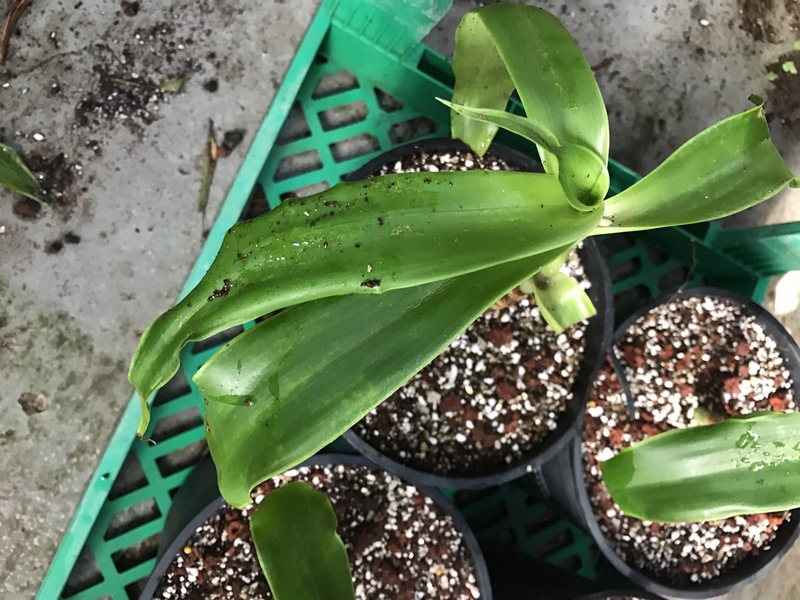 These plants will quickly cover hard surfaces in the glasshouse and soften the edges. 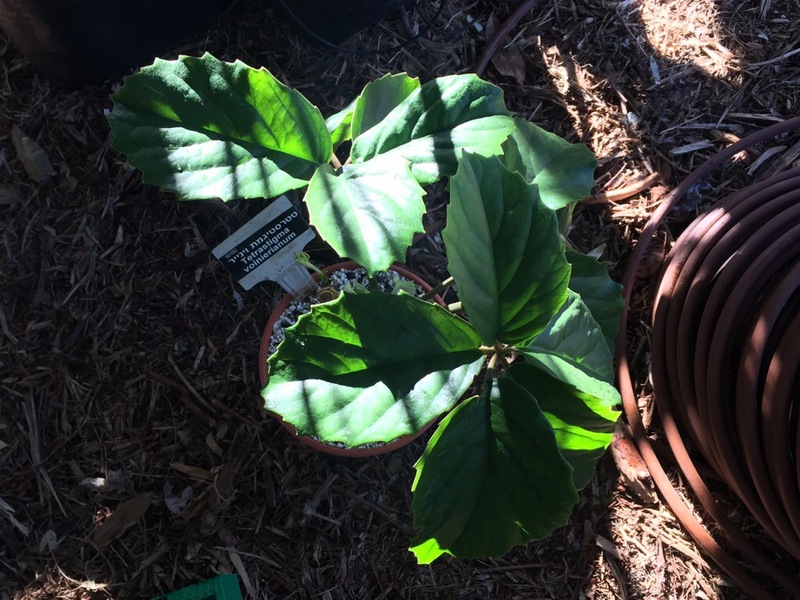 A big component of the lianas in the collection are the Hoyas, shown in previous posts. A number of the other liana species are members of the Vitaceae family. One of those is Tetrastigma voinierianum. Native to Laos and Northern Vietnam this species populates tropical rainforest areas. T. voinierianum has large waxy leaves in a shape much like what’s found in Vitis. This species is fast growing so should soon fill space in the glasshouse. Below are the plants in the nursery. 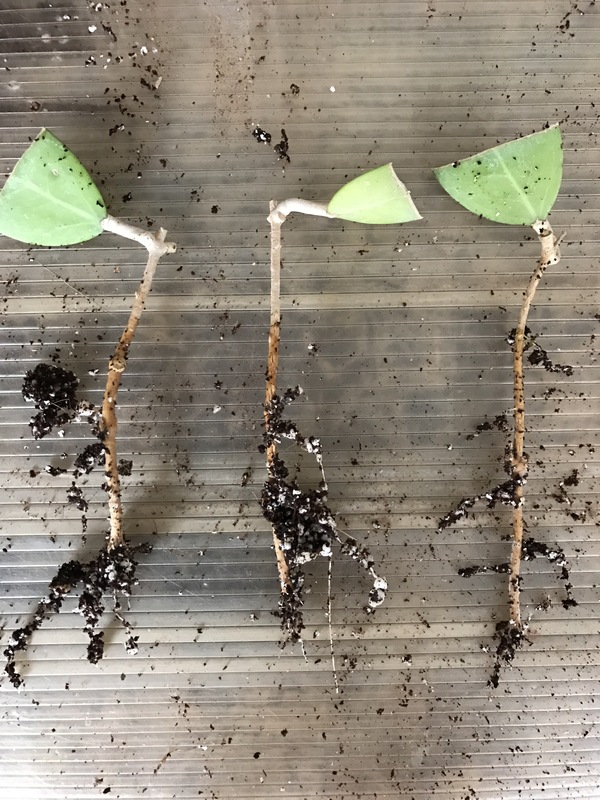 Cuttings of two nodes in length were taken 8 weeks ago. They have rooted so were potted into 3l pots. 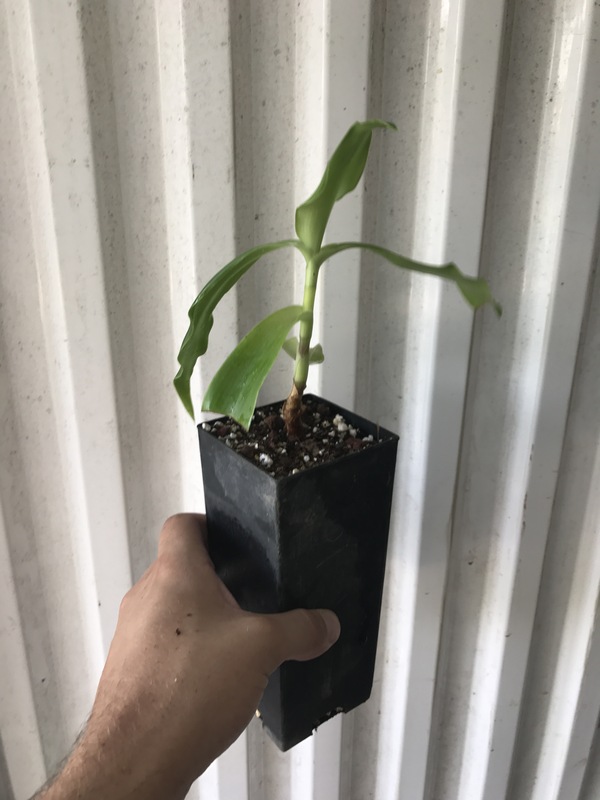 Sadly I don’t have photos of the cuttings before striking, below are photos of the rooted cuttings and the potted plants. Leaves should form soon. 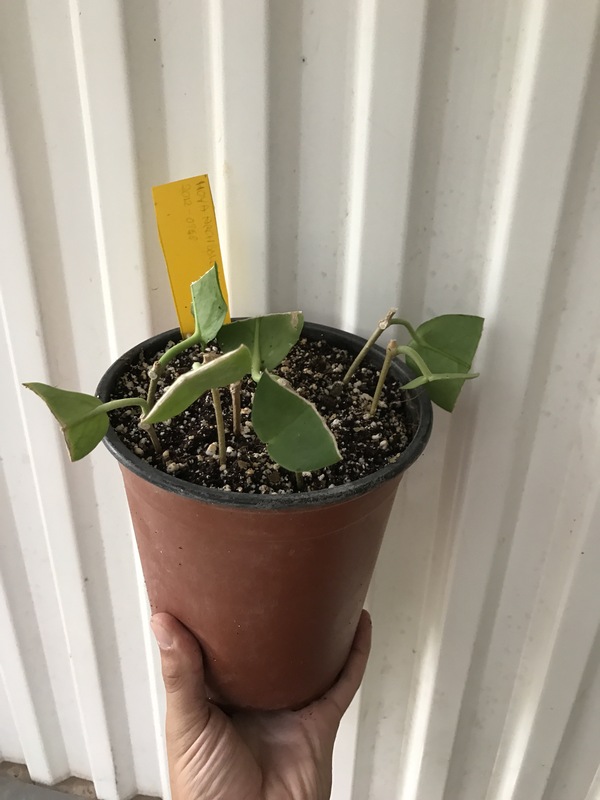 These cuttings rooted easily (95% success) with very little attention. 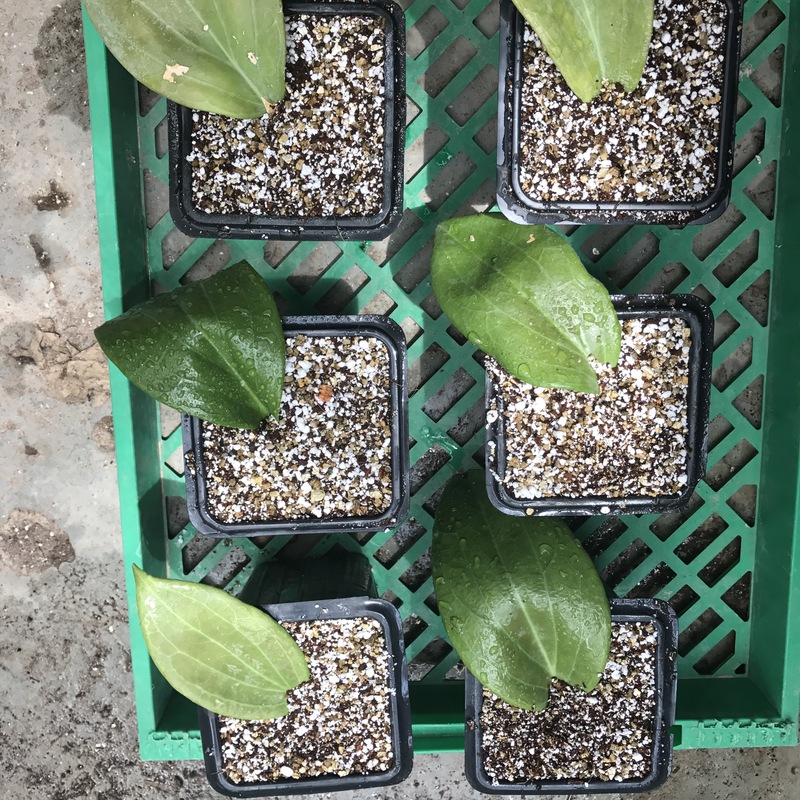 No rooting hormone was used and the cuttings were kept under a propagation bench, in the shade. 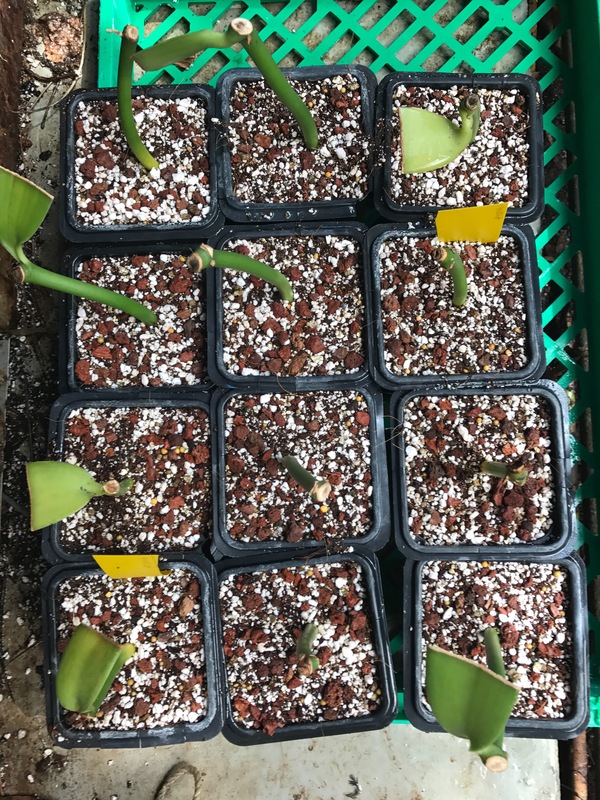 I probably should have added osmocote to the tubes of cuttings at week six, to stimulate shooting. That would have been optimal. Conifers can be difficult to propagate vegetatively. 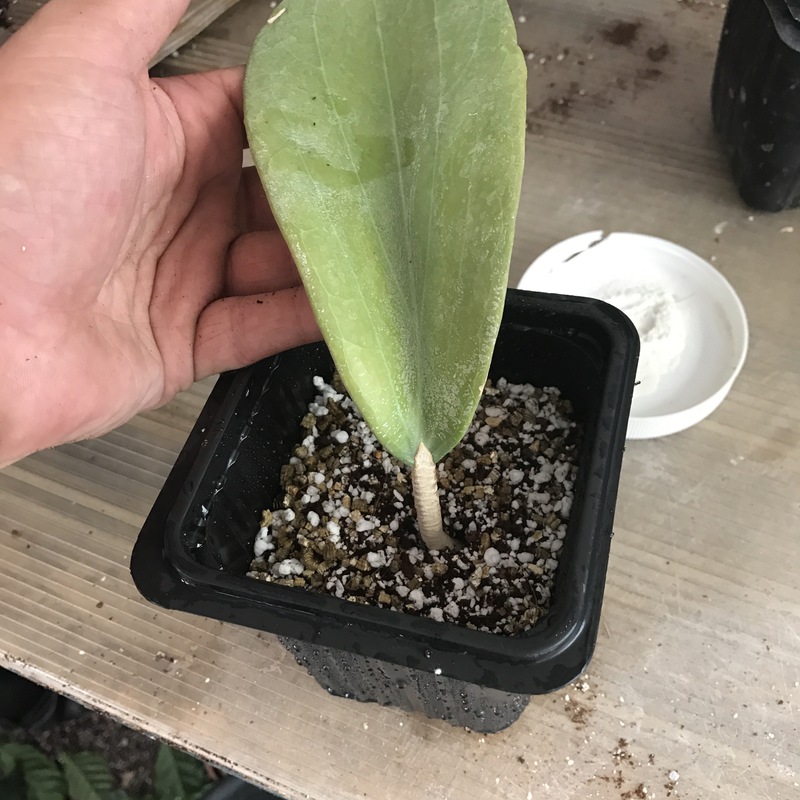 Even if they root freely, it tends to take a while. In the glasshouse there is an old specimen of Agathis robusta, but it’s in poor condition. The trees main stem was cut down to around 40cm, the plant is just a stump with some young shoots. This plant is unlikely to form a new leader and grow into a strong tree. Because of this it would be good to propagate it. The fresh growth lends itself well to cuttings, so today some were taken. 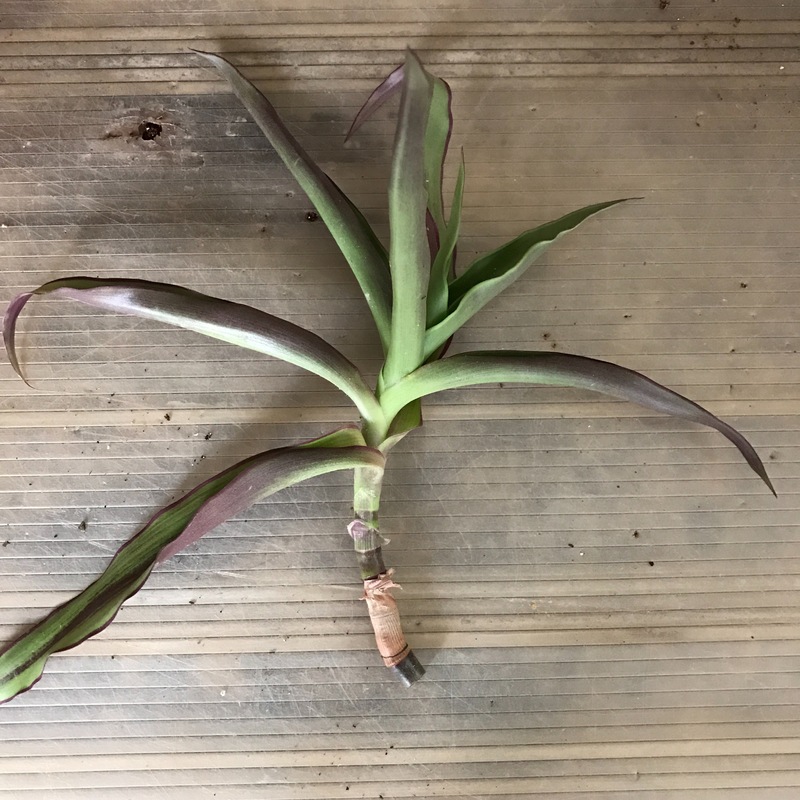 All the cuttings are tips for maximum rooting potential. 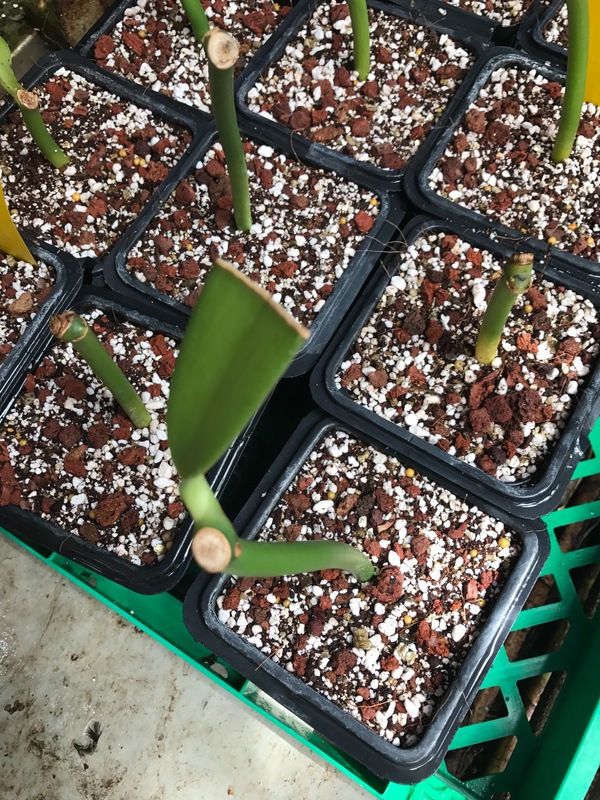 Cuttings are four nodes long, dipped in rooting hormone, potted nine per 11cm pot. Photos below. 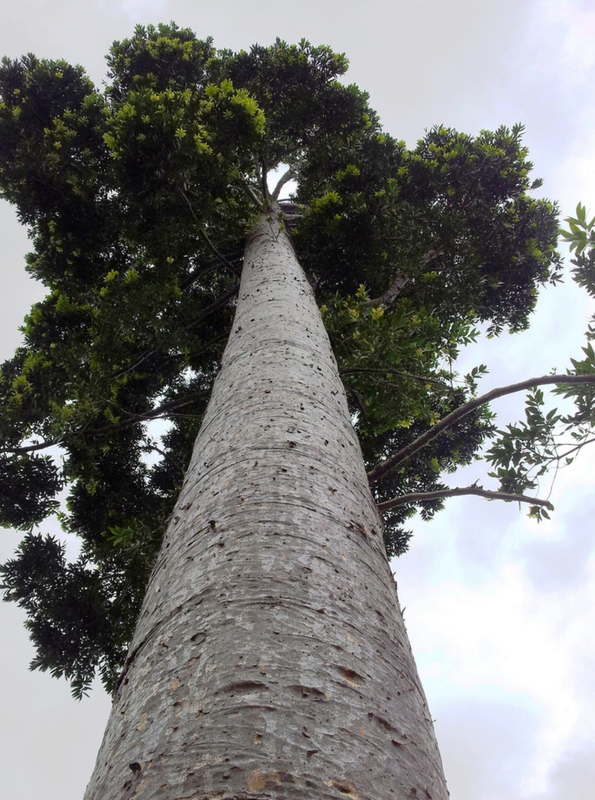 Agathis robusta is a large (50m) evergreen conifer. Agathis is a genus in the Auricariaceae family, British readers will know Araucaria araucana (monkey puzzle tree) as it is a commonly cultivated family member. A. robusta grows in Queensland and has two known populations, its uncommon in cultivation. 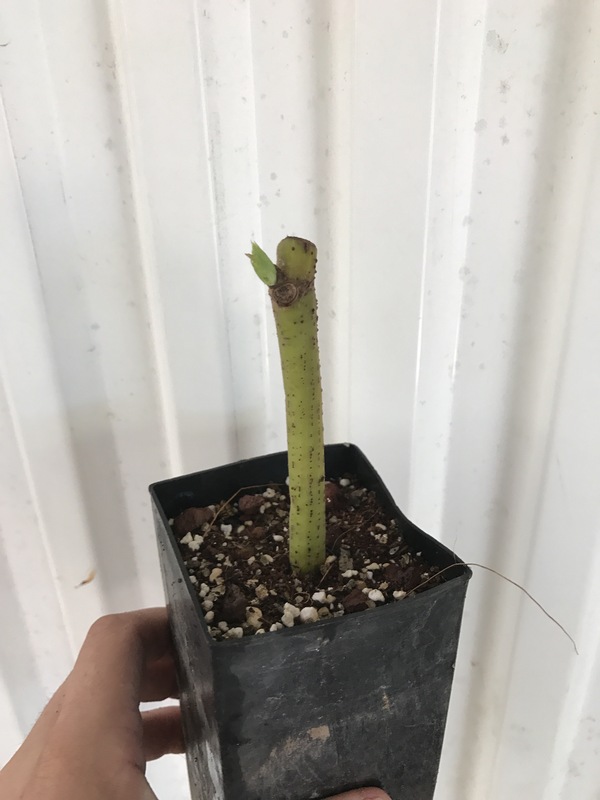 Hopefully the cuttings take as this is a great species to have. Probably more use in the Tropical Australia section than the glasshouse though. A full sized tree below. Not my image, link to creator. 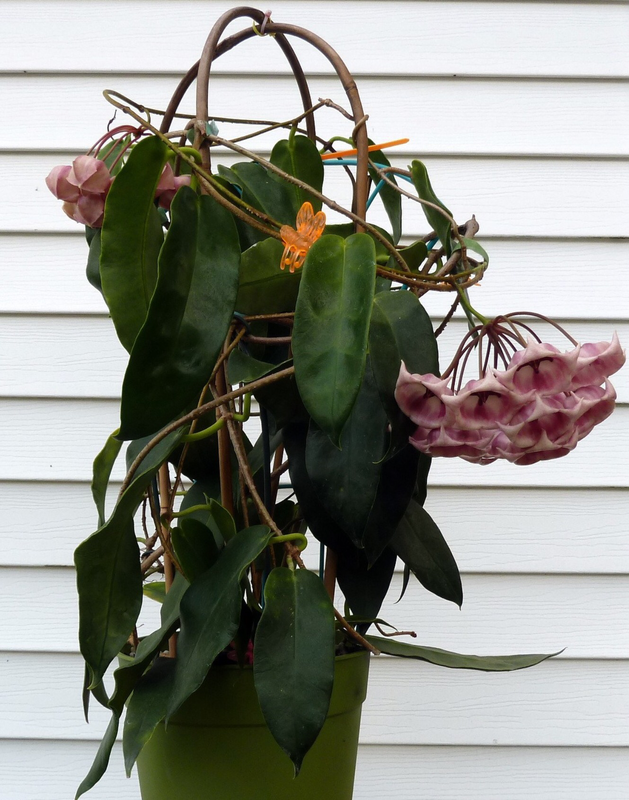 The final Hoya species left to propagate is H. aff. Mcgregorii. 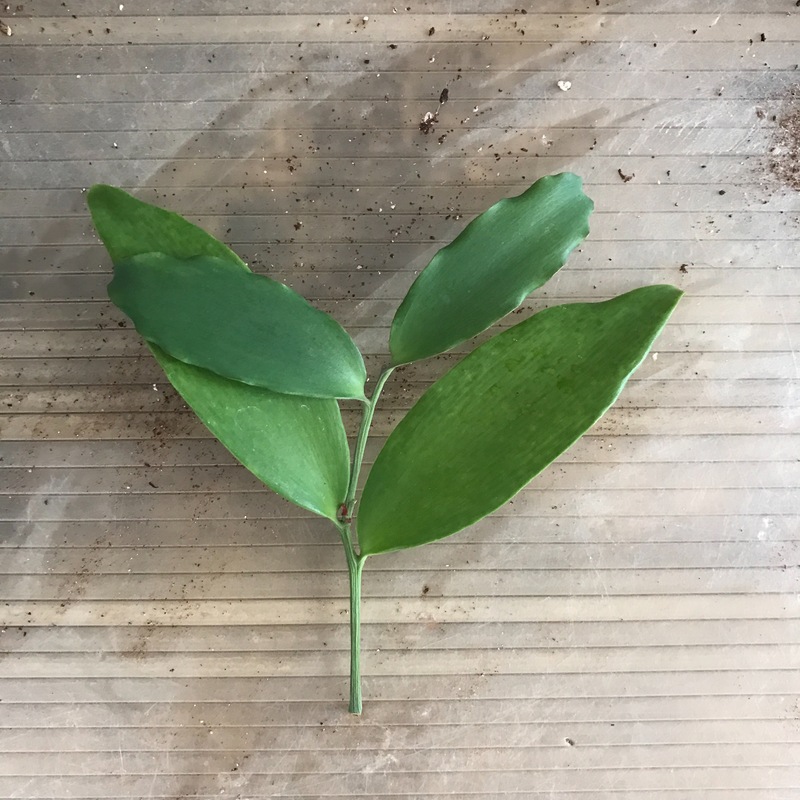 The plant has large, attractive leaves. From reading limited accounts online the plant should also have fragrant flowers. The Garden has one small specimen. 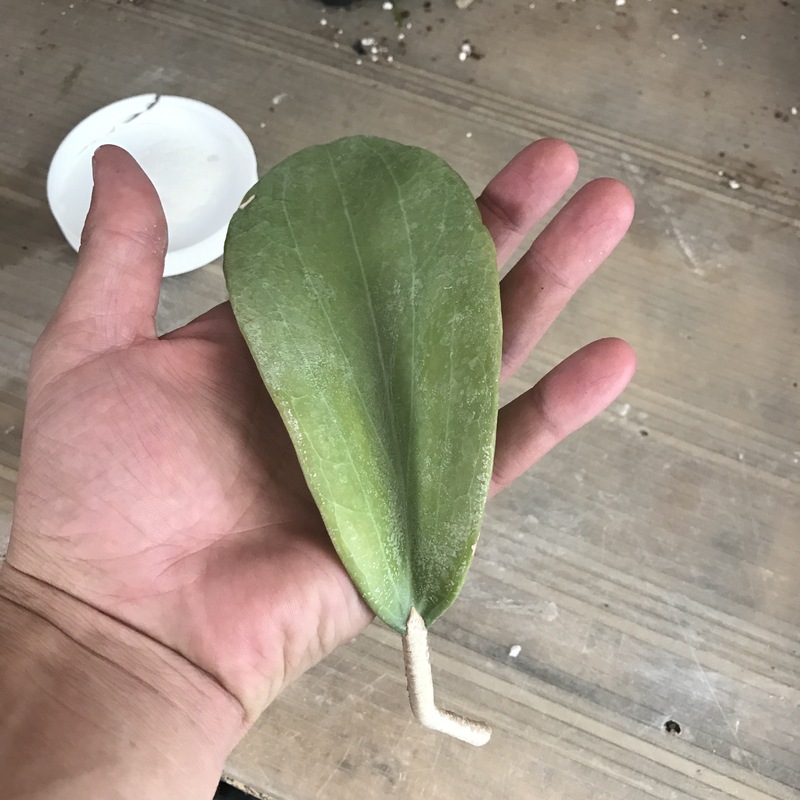 Hoyas root easily from a single node so leaf cuttings with a small section of stem were taken. 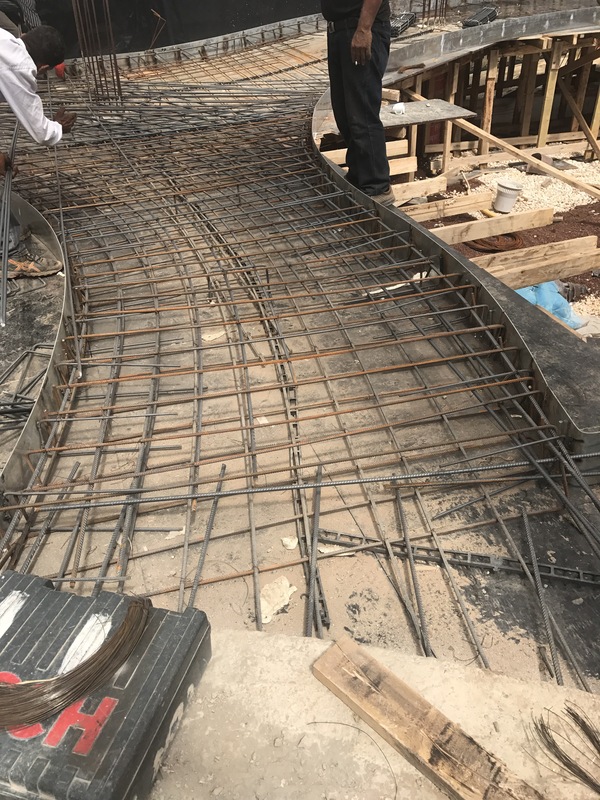 The cutting is inserted into an 11cm pot at an angle. The medium level should be just above the leaf base. To find out if the flowers are as described, one stem was left on the plant, this should flower soon. The photos below show H. aff. 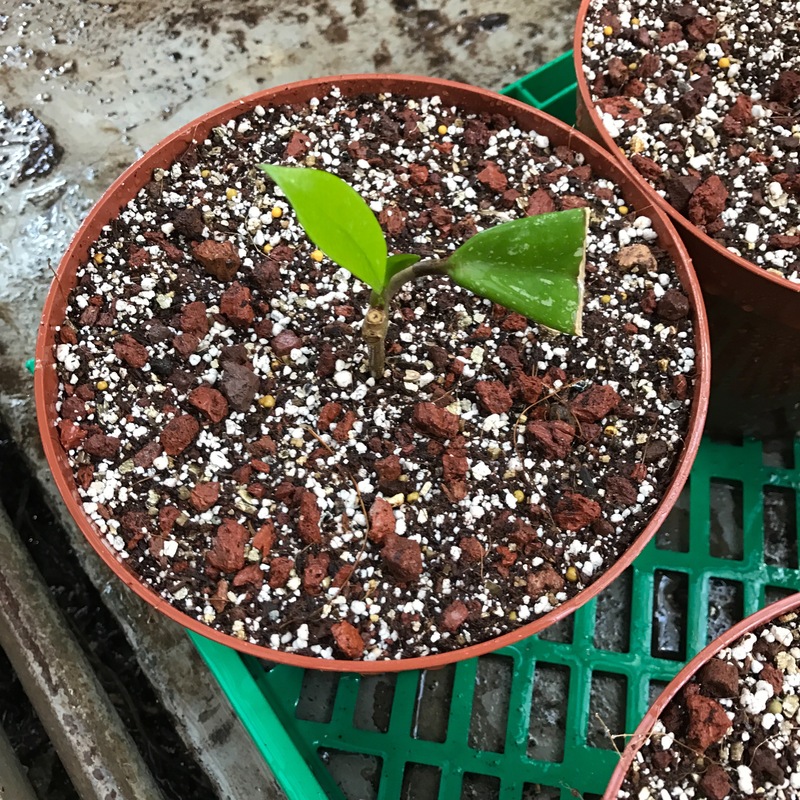 Mcgregorii and the cuttings. 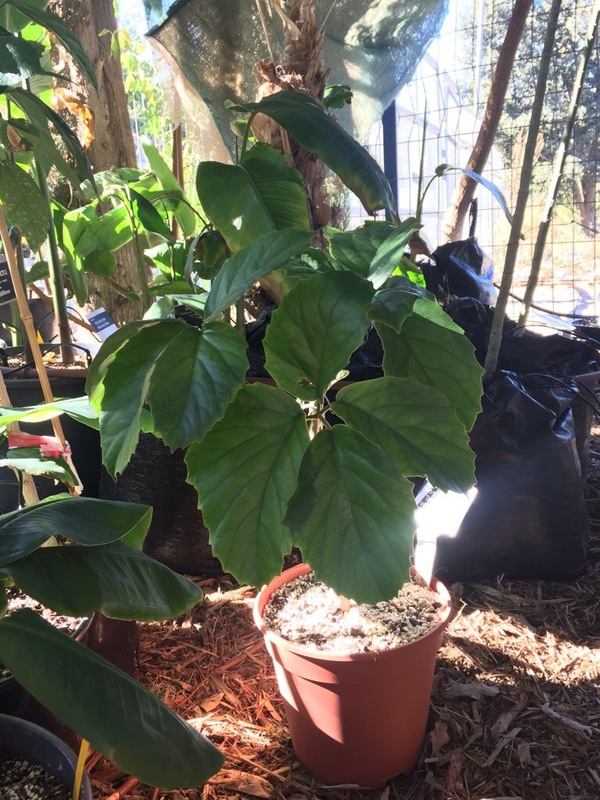 Before planting a full inventory of the the gardens tropical collection is required. This is not work I’m used to doing. Kady the gardens curation scholar helped me out. 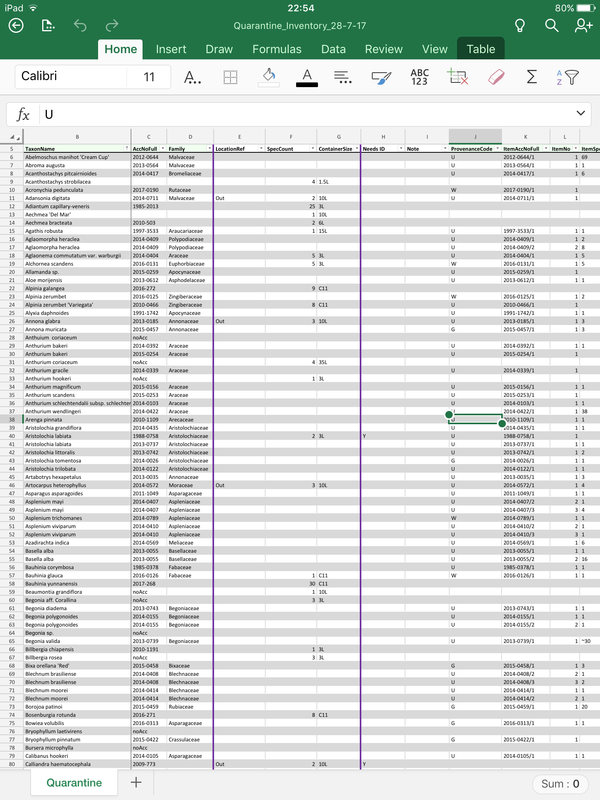 The part of the process I find hardest is setting up the excel sheet. Excel is a brilliant program. It can do so much especially for an inventory like this. I have an iPad which means we can fill the spreadsheet whilst in the glasshouse. Kady produced the spreadsheet on Friday and we begun filling it out yesterday. The spreadsheet uses data from Irisbg (the gardens database) and other information Kady found in records. As we go through we mark plants that are listed as existing and exist, as well those that are not yet recorded. Hopefully we will have everything recorded by tomorrow afternoon. A sample of the spreadsheet below. We have a fair few blanks from plants which have died over the years, still a pretty good collection. The non existent plants must be marked as dead in the database. Some plants lack accessions so will have to be resolved. Others need indentification, thankfully we don’t have many left like this. 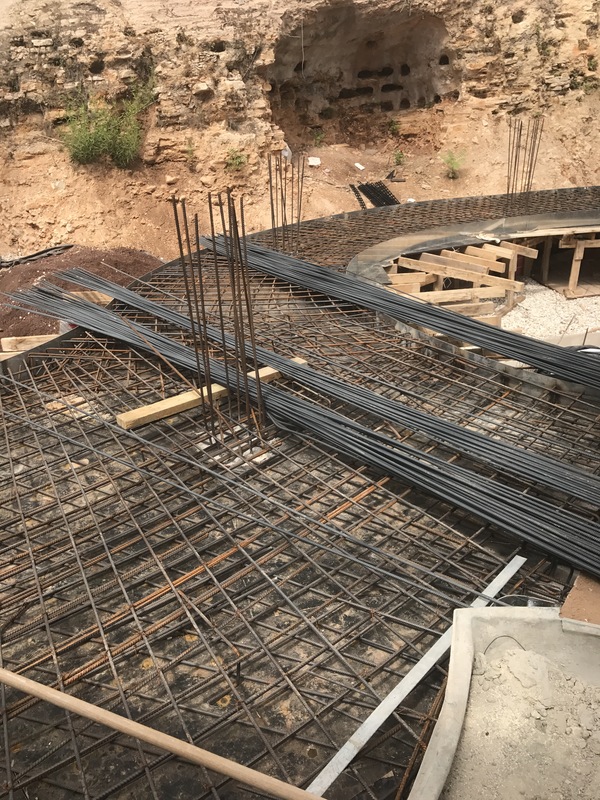 This represents a huge step in the project for me. My aim was to provide a collection of strong healthy plants that was accurately recorded before planting. 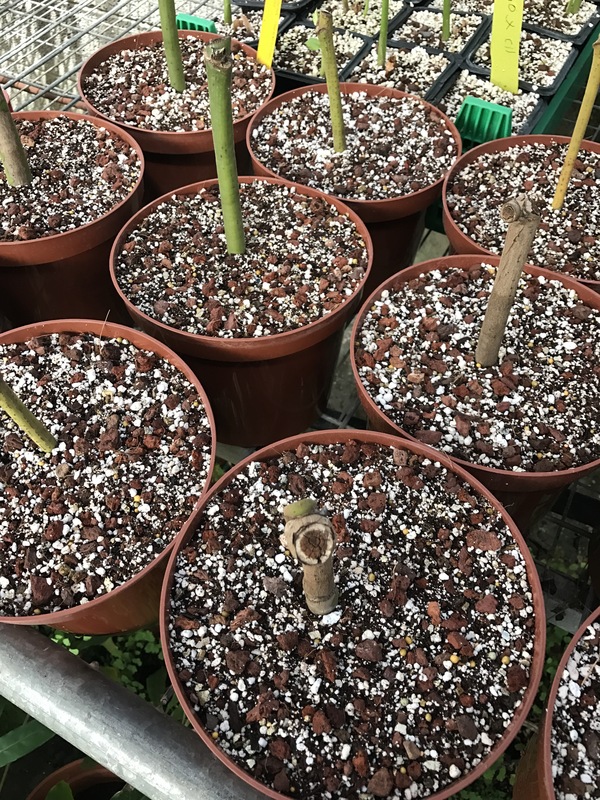 Almost every plant has now be repotted and attended to, recording them marks the concluding stages of the project. 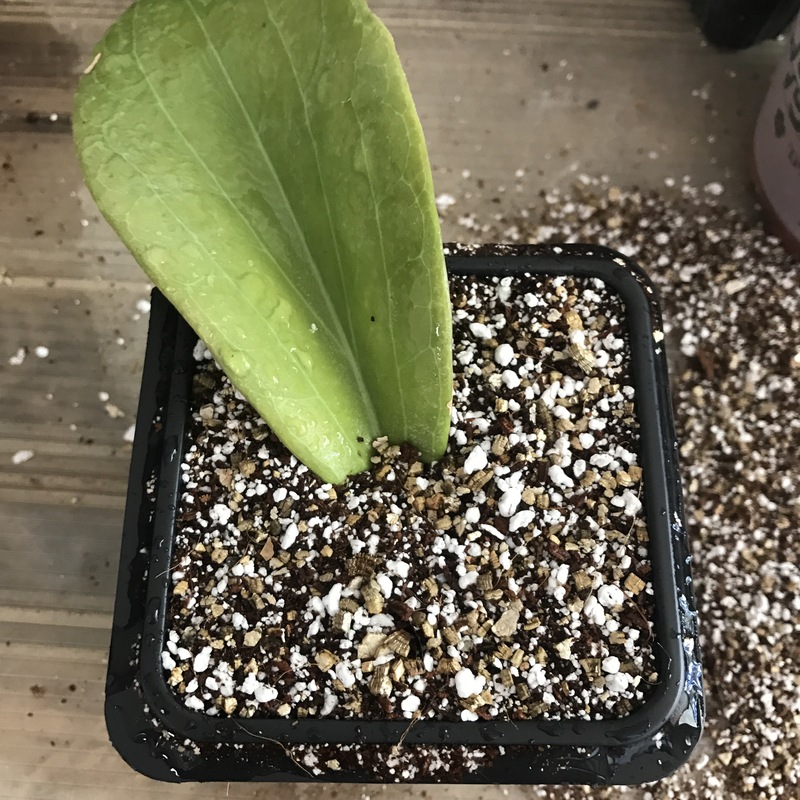 More of the Hoya cuttings are rooting, so can be repotted. 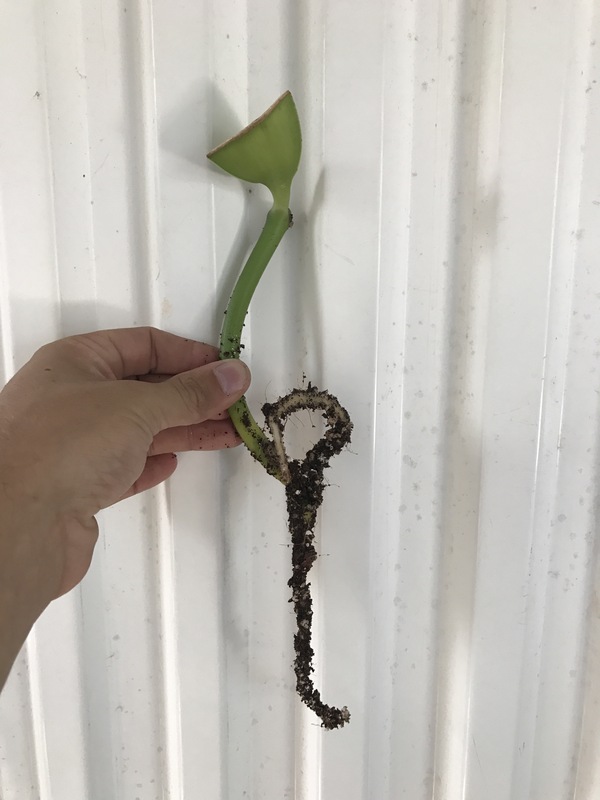 Hoya parasitica and Hoya archboldiana are the most recent species to root. 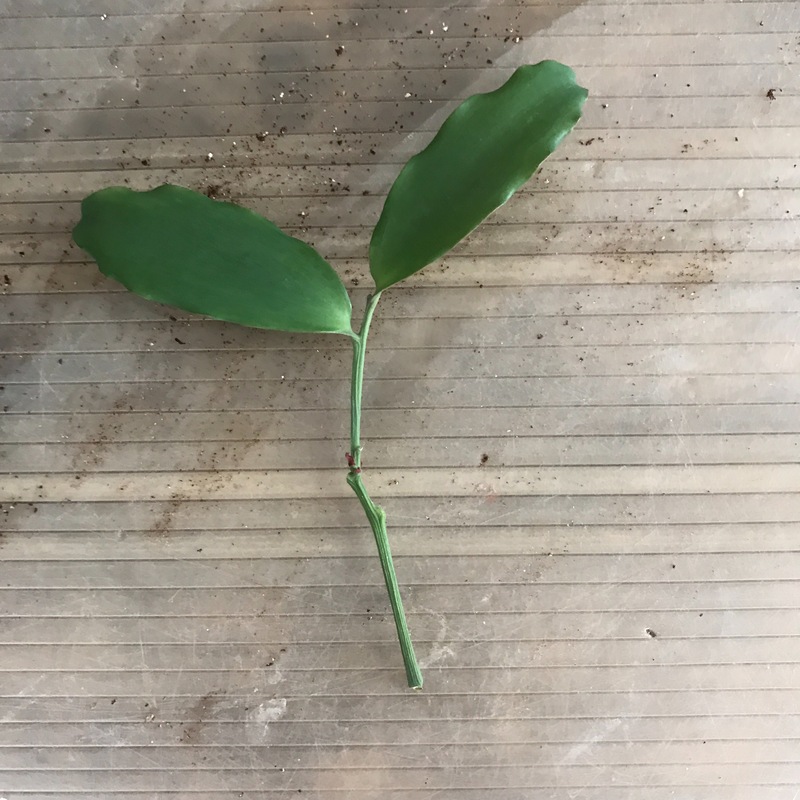 These cuttings were taken in the same manner as the Hoya cuttings I described in a previous post. 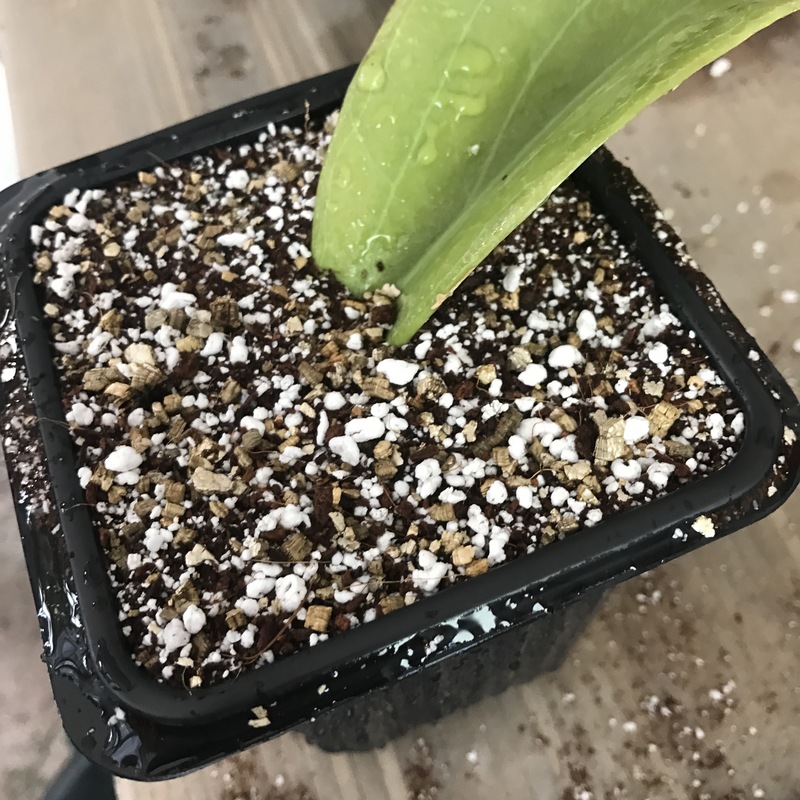 The only difference is the cuttings are smaller so multiple cuttings were put into 3l pots. Photos below. 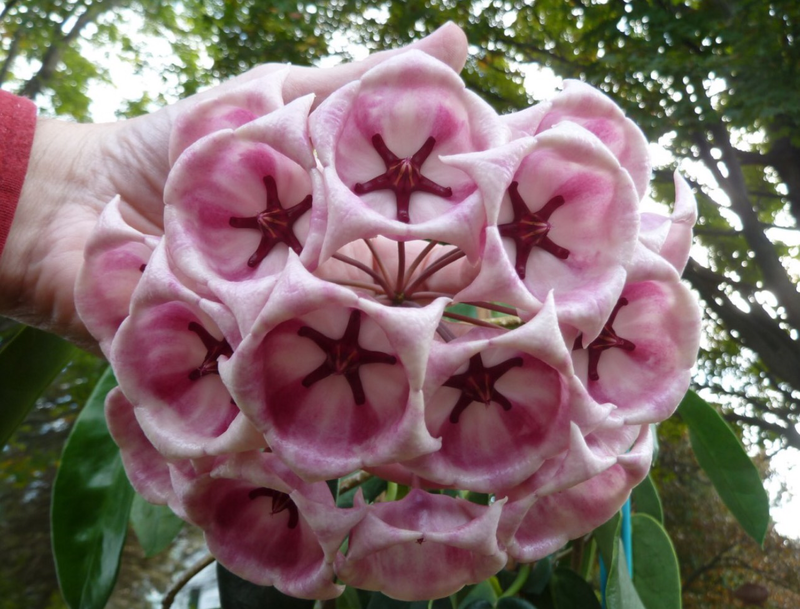 Hoya archboldiana is a great plant. Discovered in Papua New Guinea in 1913 it quickly made it into cultivation. This species has 20cm long, waxy leaves and impressive pink flowers. It oozes tropical vibes. 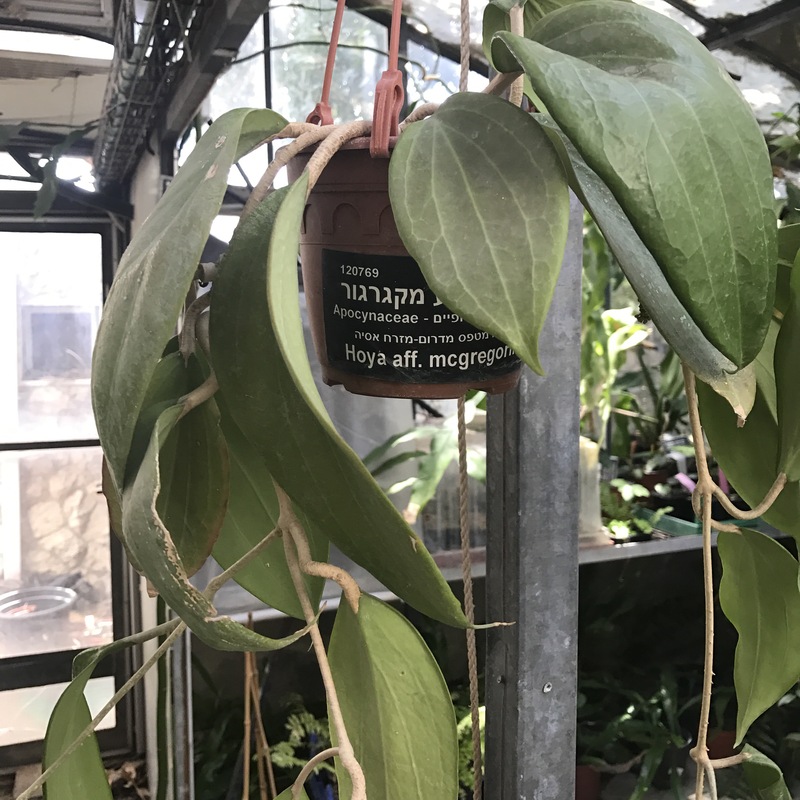 Below I’ve included some photos from Vermont Hoyas, it’s an interesting website about growing plants a long way from their comfort zone. Excellent pictures too.